StarHub, one of Singapore’s major telecos, has unveiled its “SmartWallet” NFC mobile wallet app. Developed in collaboration with bank DBS, transit smart card company EZ-Link and MasterCard, SmartWallet will enable StarHub customers to use three different contactless payment cards on an NFC-enabled smart phone – DBS One.Tap, NFC EZ-Link purse and NFC FEVO pre-paid MasterCard. Customers will be able to use these cards to make tap and go payments at some 20,000 DBS and MasterCard PayPass merchant partners in Singapore, in addition to a number of EZ-Link transit touch points. SmartWallet users will also be able to browse, download and redeem virtual coupons with a tap of their smart phone at participating retailers, including Comfort Taxi, Toys R Us, Popeye’s Louisana Kitchen, Quiznos, Coldstone Creamery, Shaw Theaters and many more. Additional functions will include buying and downloading electronic tickets to movies and events, loyalty card programs, StarHub Mobile pre-paid card top up, and transit payments on buses and trains. StarHub will also launch an in-store smart poster campaign that will allow SmartWallet users to download a mystery music track for free. SmartWallet is slated for commercial launched later this month. To use the app, customers will first need to get a StarHub NFC SIM card and subscribe to the free StarHub NFC value-added service. 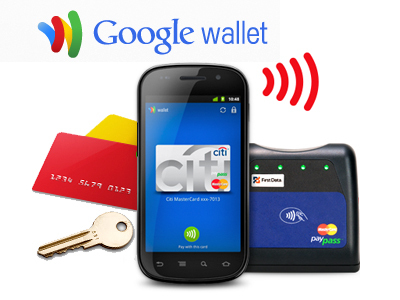 They can then go to Google Play to download the SmartWallet app. The service will initially be available on Sony Xperia Sola, Xperia S and Samsung Galaxy S lll handsets, with more handsets to follow. Approved NFC handsets from StarHub will come preloaded with the SmartWallet app, according to StarHub.